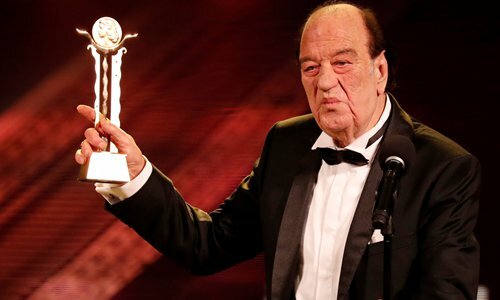 The 40th Cairo International Film Festival (CIFF) opened Tuesday in the Egyptian capital amid high expectations for the oldest film festival in the Middle East region. The event, which is being held at the Cairo Opera House, will feature more than 160 films from 60 countries and regions, including 16 world premieres. The festival's Main Competition jury committee is headed by prominent Danish film director Bille August, one of the very few directors to have received the Palme d'Or award twice at the Cannes Film Festival. The committee will choose the film that will receive the highest award at the festival - the Golden Pyramid. This 40th edition of the festival promises numerous new features and developments, with President Mohamed Hefzy putting a lot of hope on the festival's development, according to official Ahram Online news website. Numerous films will be screened, with a focus on Arab cinema created through the competitive Arab Horizons section showcasing a large assortment of films from Egypt, Morocco, Lebanon, Tunisia and Saudi Arabia, giving viewers an opportunity to see the developments of the region's cinematic practices, its trends, interests and talents. In the second half of the festival, the event will hold Cairo Industry Days. Organized for the first time in the festival's history, the Industry Days event aims to provide its participants with important opportunities for discussions, meetings, training and workshops in various areas of the industry. The festival has also added a People's Choice Award for the first time in its history, with a prize of $20,000 going to the film that gets a majority of votes from the Cairo audience. A new award with a prize of $15,000 dollars, Best Arab Film, has also been added to this year's festival. Midnight screenings organized in the Zamalek cinema, showcasing thrillers, science fiction and horror movies over the seven nights of the festival, is another new addition. Among this year's honorees are British actor Ralph Fiennes and veteran Egyptian actor Hassan Hosny, whose long career of more than 50 years has enriched the silver screen, television and theater. Composer Hassan Nazih will be awarded the Excellence Award, which is given to mid-career artists who have made achievements of creative excellence.